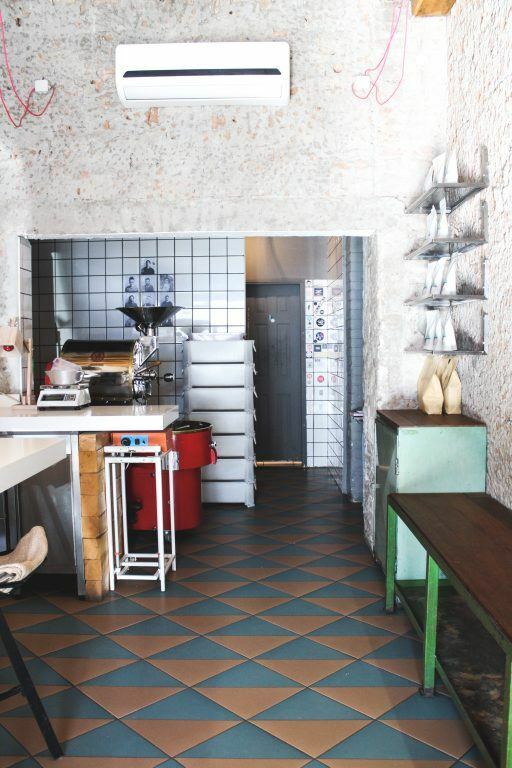 Coffee in Belgrade is definitely not a new phenomenon. In fact, it is one of the best things to do in Belgrade when you’re there. 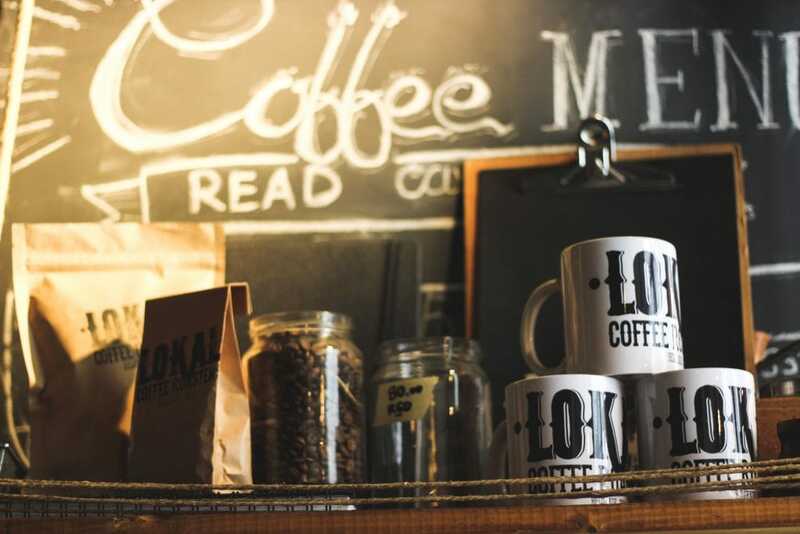 Did you know that Belgrade, Serbia was home to Europe’s first kafana, or coffee shop? 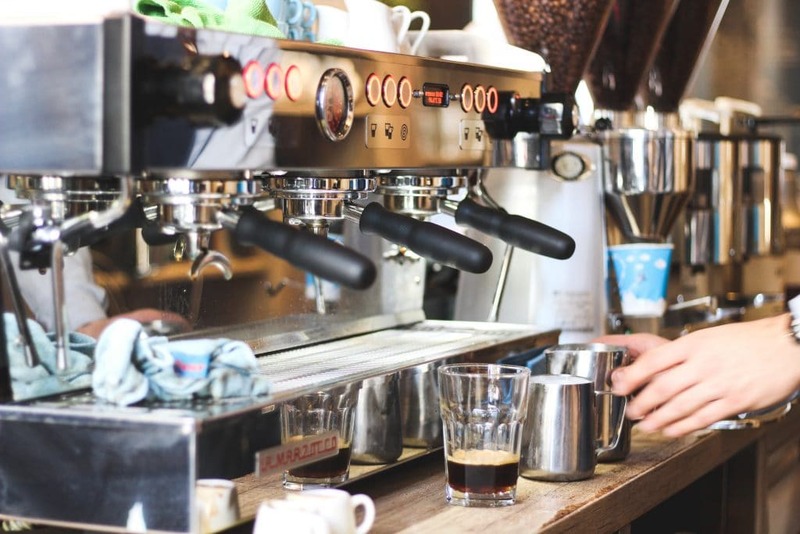 Thanks to the Ottoman Empire, Serbia saw coffee houses nearly a century before London, Marseilles, Vienna and Leipzig. 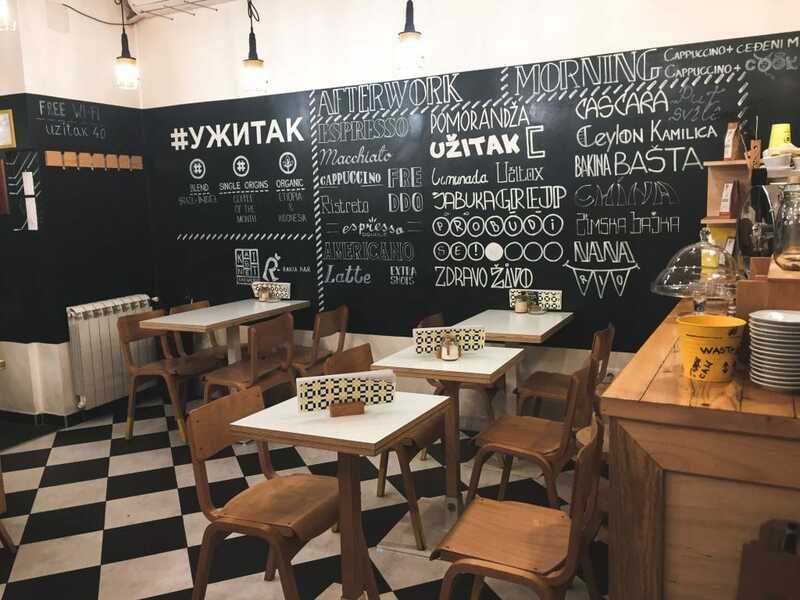 While it was black Turkish coffee that gained historical marks in Belgrade, the cafe and coffee scene in the city is ever-present today and worthy of being explored by anyone who steps foot in the Serbian capital (don’t worry, most cafes sell beer too). I must admit that I am a bit apathetic when it comes to Turkish coffee. I can take it or leave it but I will ultimately choose a Turkish tea over a black Turkish coffee any day. On the other hand, I do like coffee and cafes. 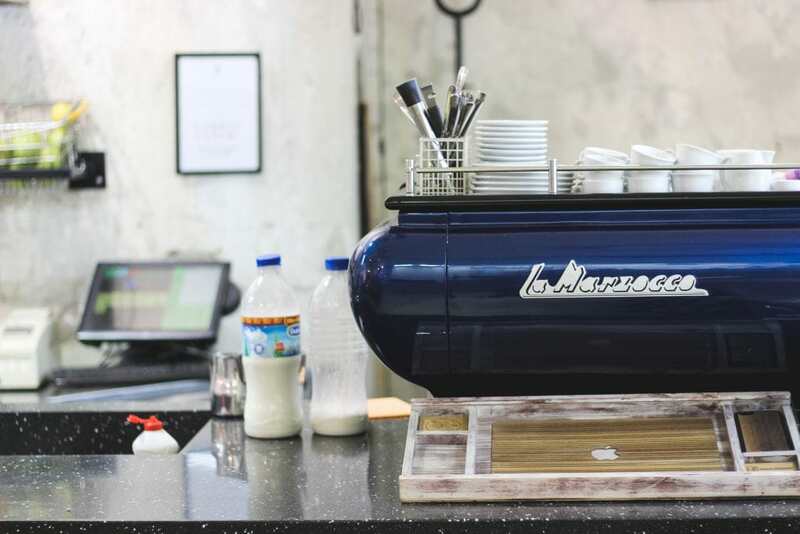 And even though my recent trips to Belgrade were not my first, I went in with the determination to explore the heck out of the specialty coffee scene there and see how it measured up to other European cities. In true Belgrade fashion, she didn’t disappoint. 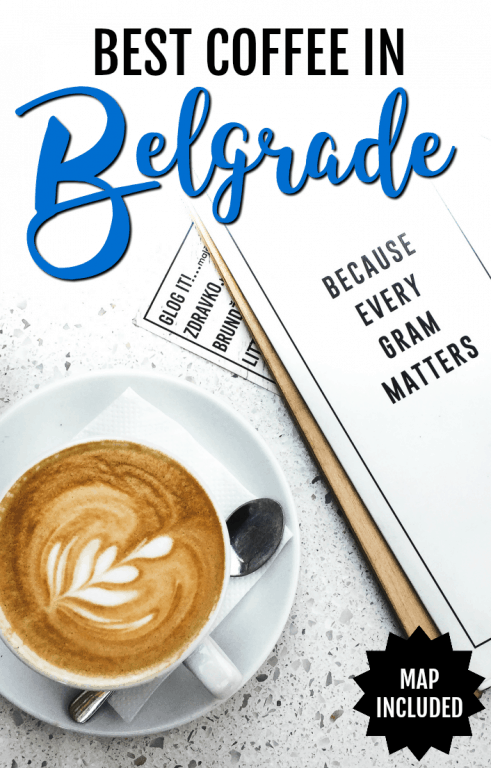 This coffee guide to Belgrade showcases some of my favorites as well as some local favorites when it comes to specialty coffee. I didn’t fall in love with every place, but people I chatted with said they are very popular amongst coffee lovers and who am I to judge coffee preferences? So, I listed them here as options, anyway. I also listed a couple of places I was unable to get to due to location but fully intend on checking out during my next trip to the city. 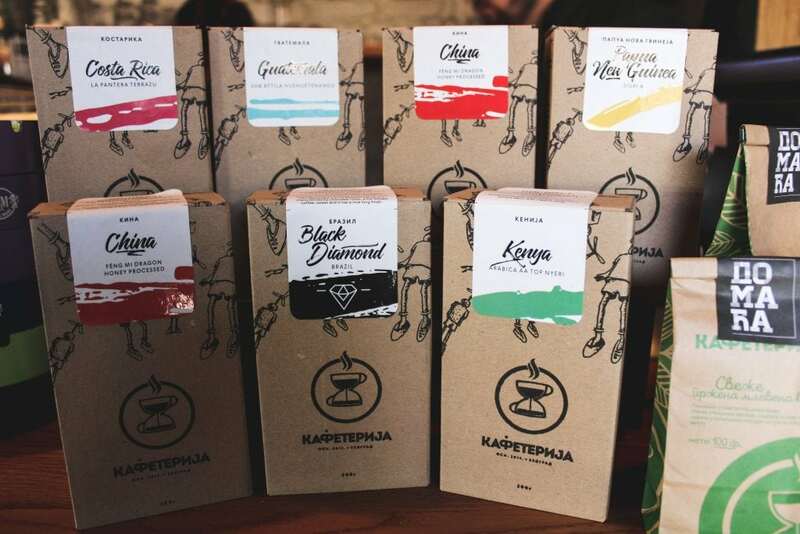 I highly recommend adding a stop in Belgrade to explore the coffee scene to your Balkans itinerary. 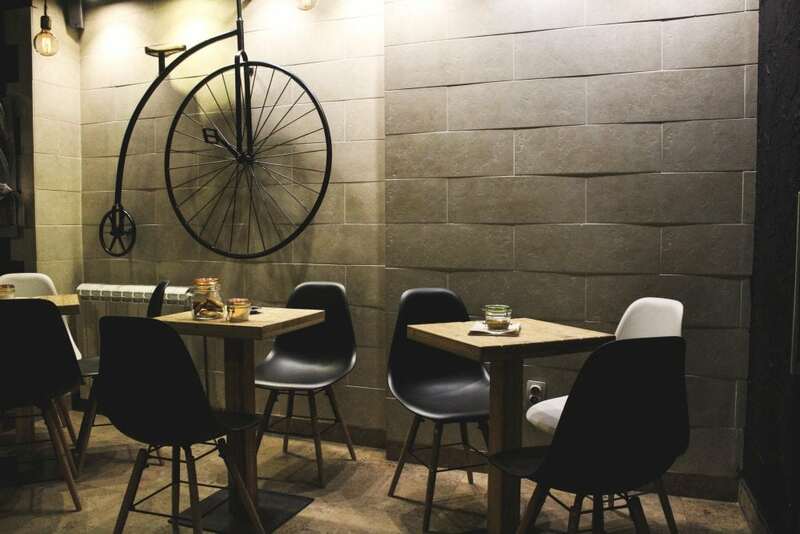 At the end of the post, I would love to hear your comments on places you love to get a tasty cup of coffee in Belgrade. Please share away! Disclaimer: All of these places (except one) allow smoking inside. It is disgusting and makes me ill. But that is Belgrade and you can’t completely escape it. On the plus side, they had free wifi, free water, and allowed dogs inside, so in addition to the tasty cups of coffee, it almost made up for it. The ventilation system was pretty decent inside of all of them, so please don’t be discouraged by the smoking. Good coffee awaits! Update: I have, unfortunately, heard that this place has closed. Definitely one of my favorite spots in Belgrade. I must have visited this cafe five times throughout my stay! 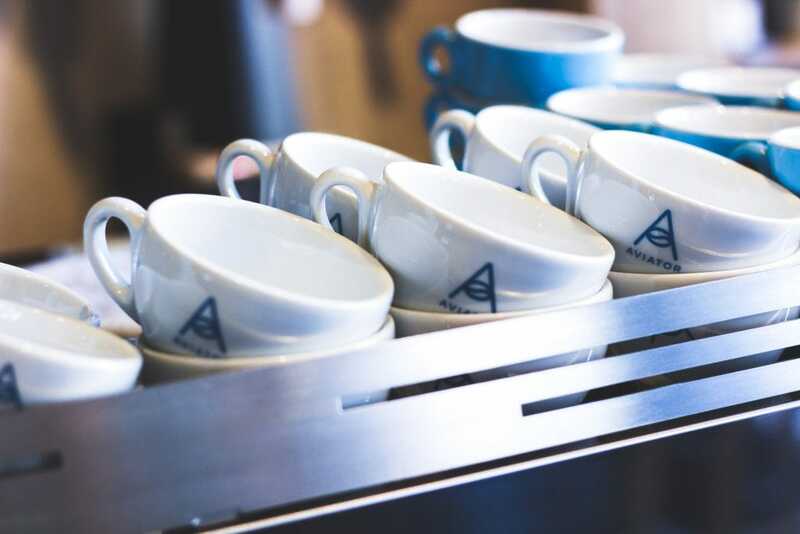 Aesthetically pleasing from the inside and outside, 19 Grams prides themselves on delivering the proper amount of espresso each and every time they prepare a shot of it for a thirsty customer. I had fantastic service here over and over again. I had a flat white during my first visit but stuck with double cappuccinos after that as they didn’t overfoam the thing. It was smooth and creamy and it took every ounce of me to not order a second cup every time. I also enjoyed breakfast from here on my last day. The American in me couldn’t resist the natural peanut butter and jam toast option staring into my hungry eyes from the menu. 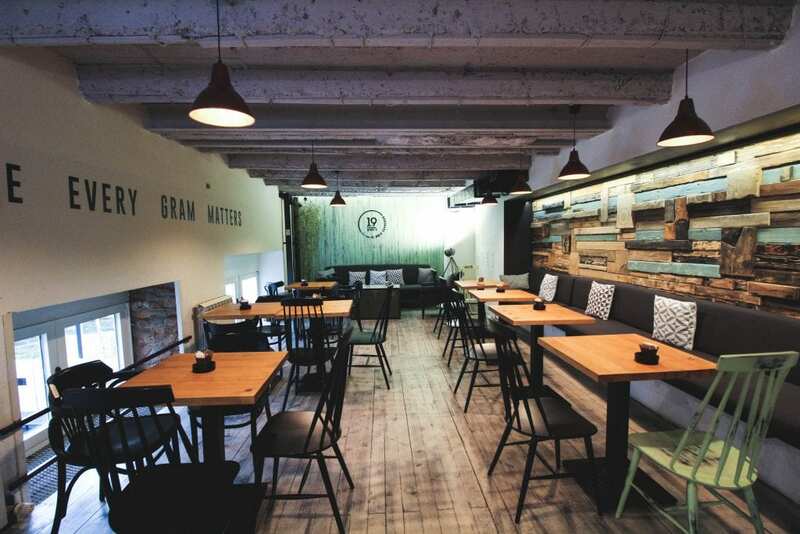 19 Grams is located at Kralja Petra 70 in Dorcol. To find out more, including their opening hours, you can check out their Facebook or Instagram. This was the very first place I checked out in Belgrade. Why? 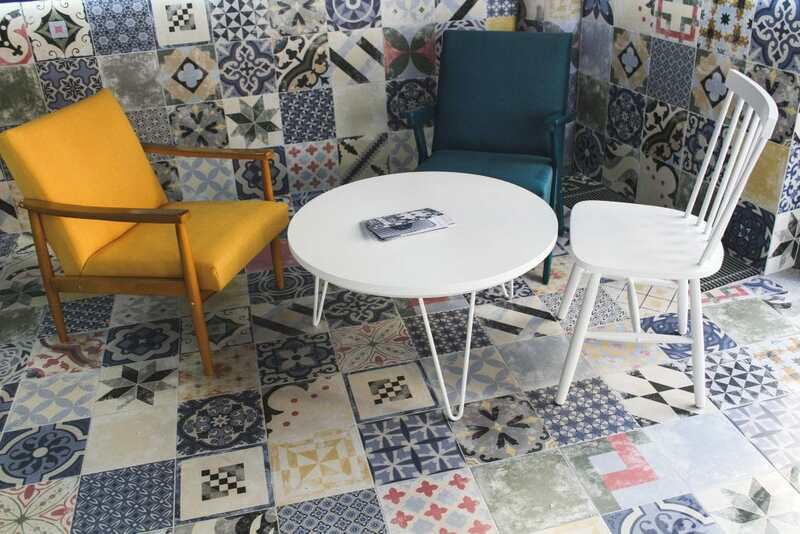 I heard the coffee was exceptional and the vibe was cool and hip and located in an industrial part of the city that is undergoing a makeover. 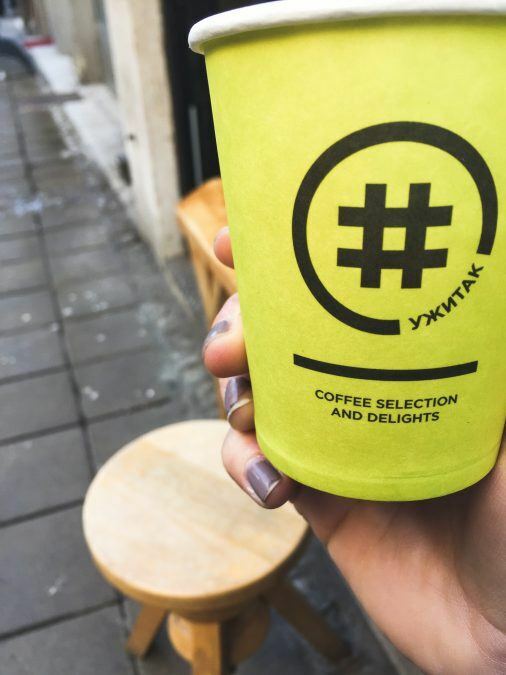 It definitely lived up to the hype and I had some of the best coffee in Belgrade every time I went to D59B. It was completely apparent that the baristas and staff here knew their stuff. I ordered a milk coffee each time as it was a bit busy and flat whites are quick and easy to make… but I would have trusted anything they would have served me. They also roast their own beans in-house. I slyly made sure that I sat by the roaster when inside as I continually got an amazing whiff of the stuff. This is a non-smoking cafe. Woohoo! Well, I never saw anyone smoking inside, but rather in front of the cafe. Probably because they are roasting their own beans inside. Cigarette smoke and coffee beans wouldn’t be the best combo. D59B also offers nighttime and evening fun and they serve local craft beer on draft. You can find them at Dobračina 59b in Lower Dorcol. They don’t have a website or much of anything posted online, but you can check out their outdated Tumblr page for more information (or just search them on Foursquare or like sites). Lokal was an unexpected find for me. I actually had it on my list of places to visit but was more keen on checking out a coffee shop around the corner. Turns out, I was confused and my Google maps had failed me. Lokal was the coffee shop I had set out for in the first place. Nevertheless, it was a pleasure getting a chance to have a nice coffee from here and relax in the coziness of the small cafe. 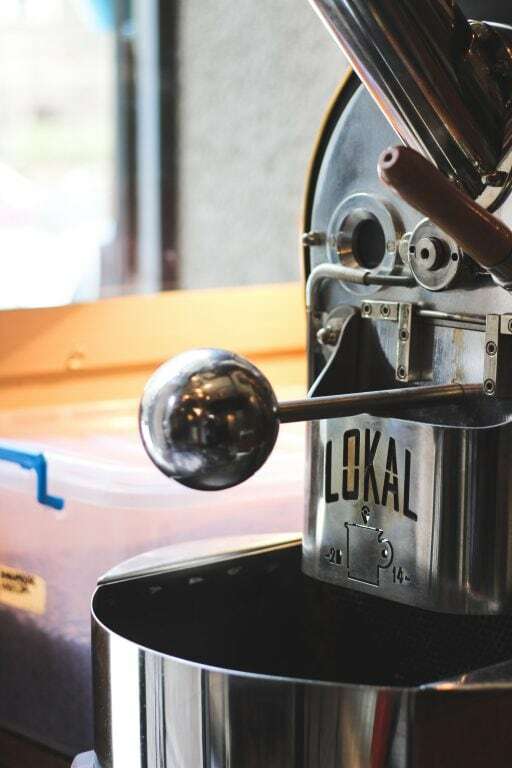 Lokal also roasts their own beans. The two-story cafe might be small in size, but the flavor of their products is pretty powerful and robust. I ordered a Chemex from here and sat for an hour or two to escape the sun (you heard me right… it was an unseasonably warm February day). 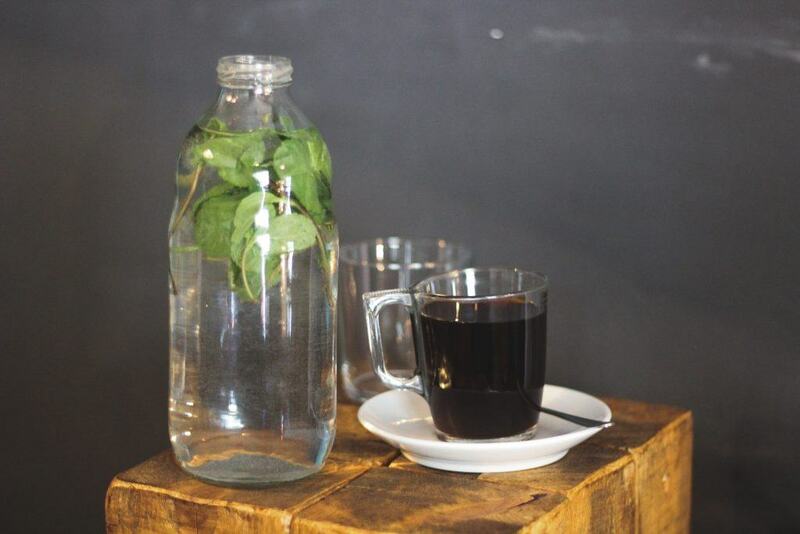 They also bring mint water with the coffee which was much to my delight. You can find Lokal at Alekse Nenadovića 24 in Vracar. To find out more information, including their hours, check out their Facebook page or Website. Oh… a chain. While I am usually pretty adamant about supporting independent coffee shops, I had heard so many rave reviews about this place that I thought I’d better check it out. I am very glad I did. 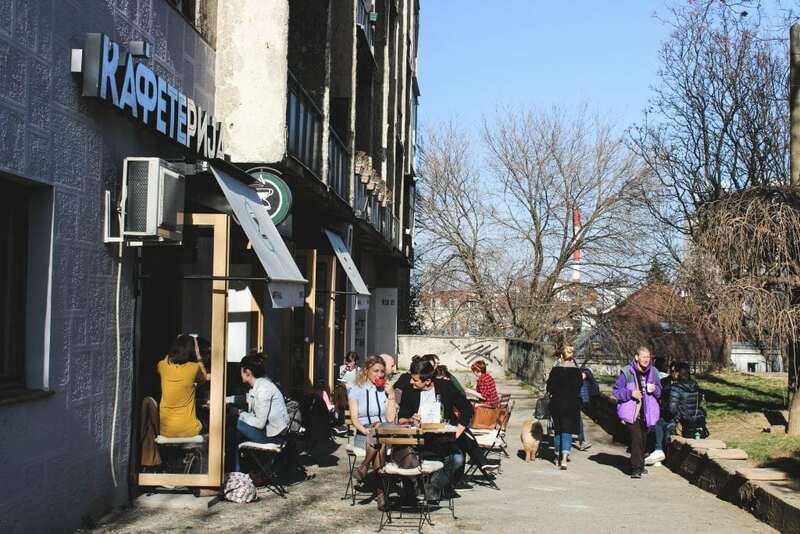 They have a total of seven cafes in Serbia (all in Belgrade except one which is located in Novi Sad) and I ended up at the one by the Student Park (Студентски Трг). They were busy and clearly delivered a tasty product. I sat inside despite the sunny skies and enjoyed a flat white. The coffee’s size was bigger than I was used to, but it was smooth and hit the spot. 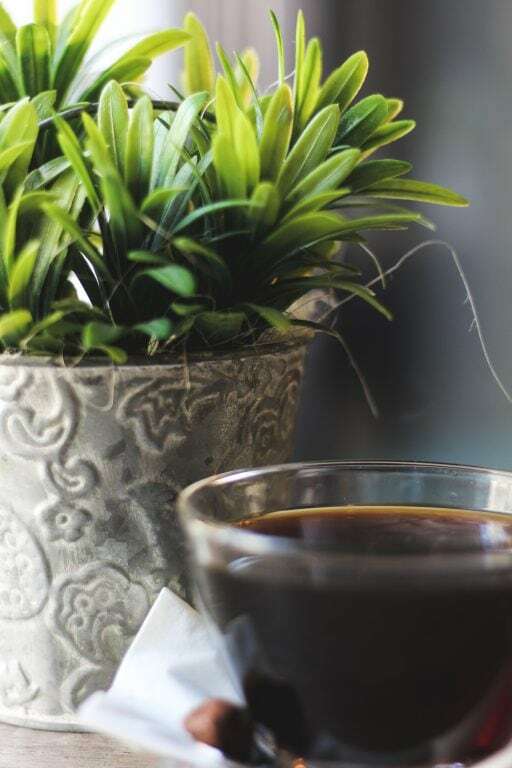 They offer everything from sweetened coffees to Kopi Luwak. 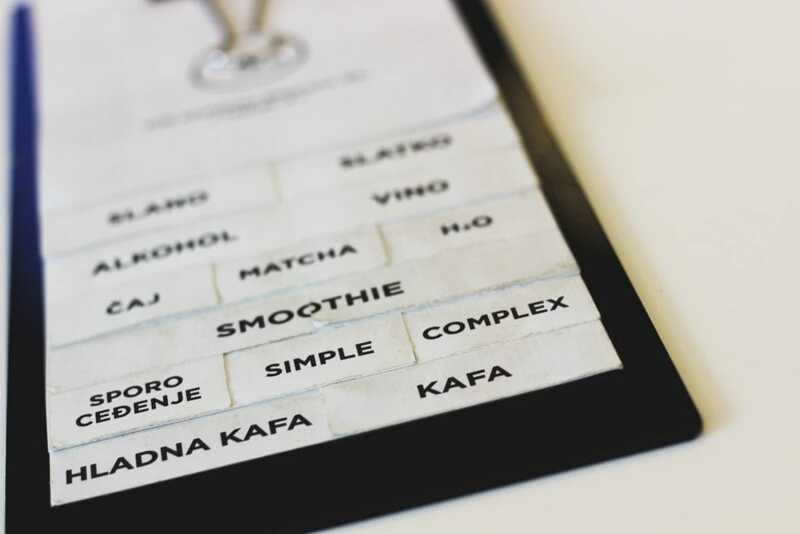 You can find the Kafeterija location I went to by the Student Park in the city center at Zmaja od Noćaja. To find their other locations and opening hours, check out their Facebook page. I must admit that I found Uzitak while looking for places to grab a beer. 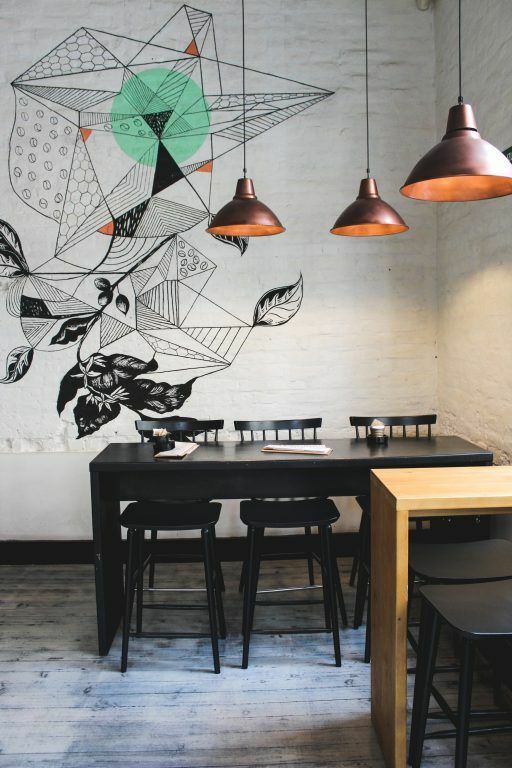 Despite it being a coffee and cakes cafe, they also serve local craft beer from Kabinet Brewery, and paired with the quirky interior, I thought this would be a lovely place to grab an afternoon beer. I ended up with coffee (my first time… I went there numerous times). And a super friendly staff, particularly Aleksandra, who I went to visit two weeks in a row. The cafe is small but colorful and uplifting. I found this place to be the one I went to when I was experiencing homesickness or just needing a familiar place where I felt comfortable. My only coffee tip for this place is to ensure that you’re given a double shot of espresso. 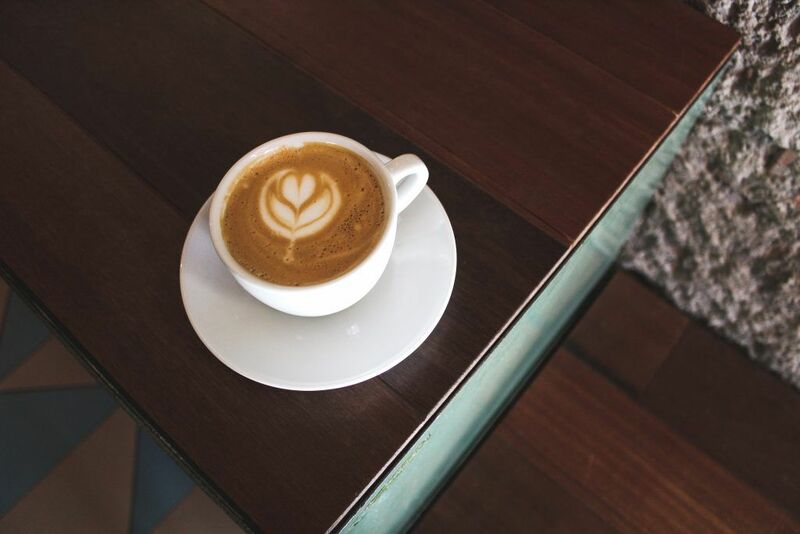 They offer single-origin, Fair-Trade, and organic beans. 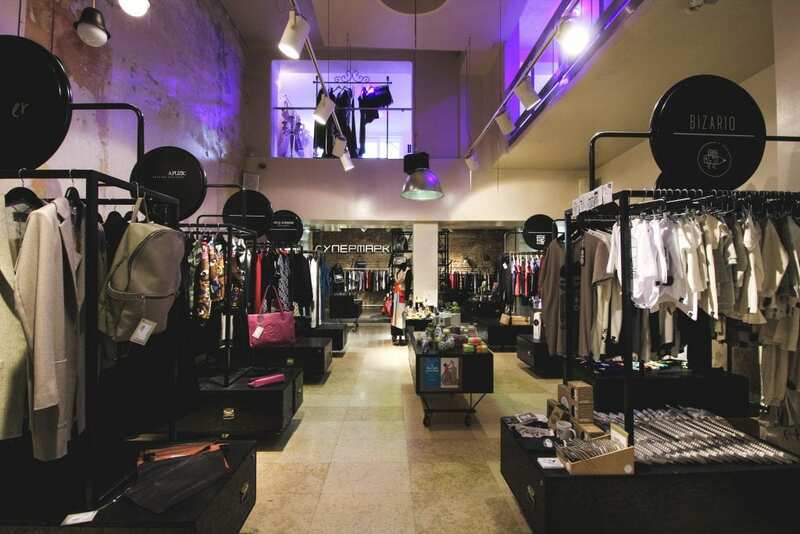 Uzitak can be found at Hilandarska 4 in the city center of Belgrade. For opening hours and additional information, check out their Facebook, Instagram, or Website. Another chain!? 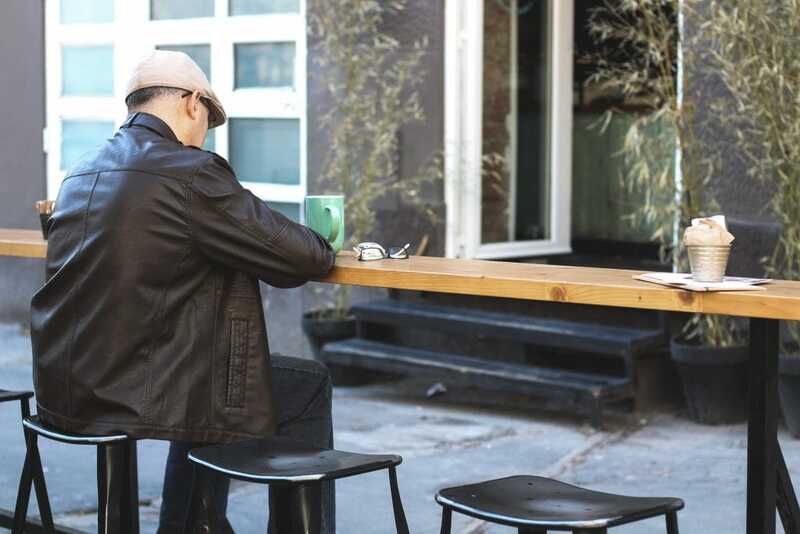 I had some pretty solid coffee here, so I definitely felt that the Dorcol location, in particular, was worth mentioning on this coffee list. 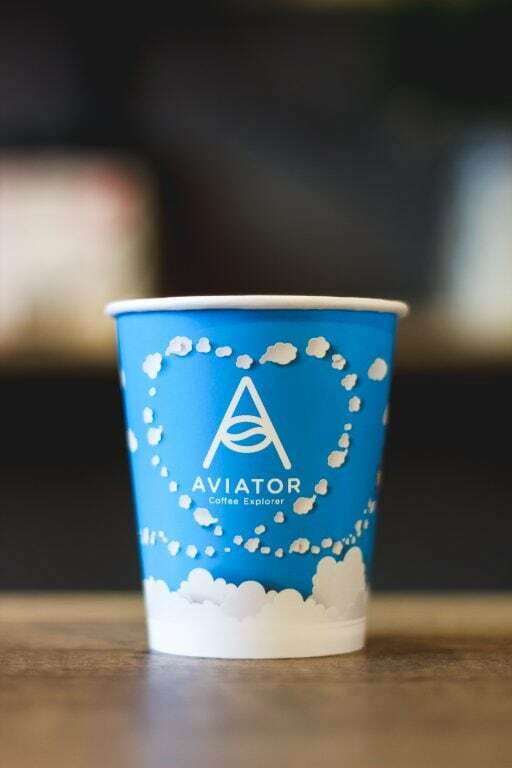 Aviator has six locations throughout Belgrade but I only had time to check out one of them. At the Dorcol cafe, I found a super friendly and welcoming staff and a very well-made V60 pourover. 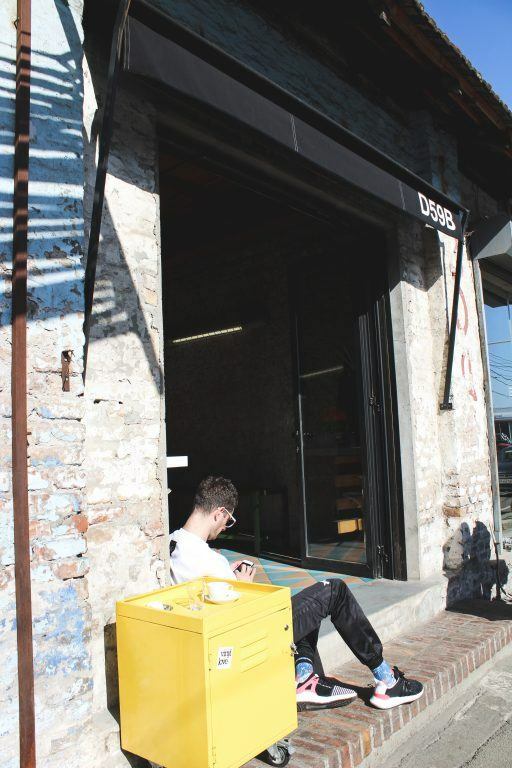 You can find Aviator Coffee Explorer’s location in Dorcol at Gundulićev venac 59a. To find out more about Aviator, check out their Facebook. 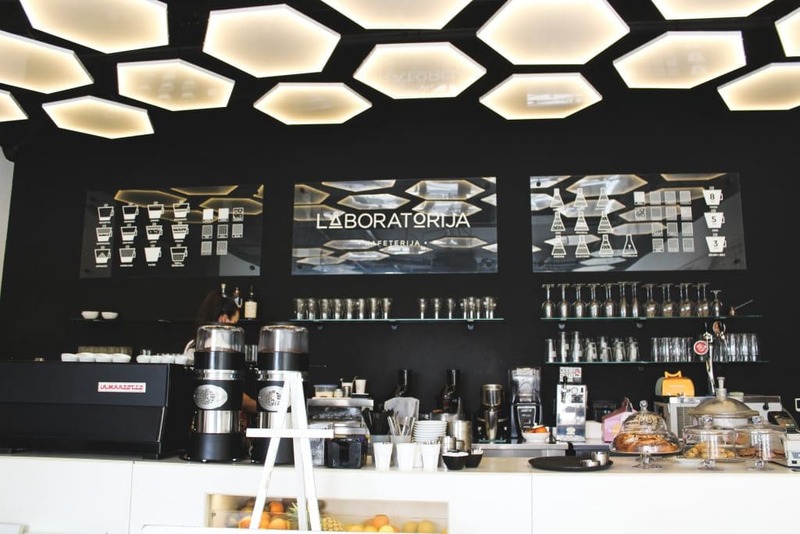 Laboratorija was one of the most beautiful cafes I have ever stepped foot in. I am a big fan of minimalistic decor and this exuded that and more. Black and white interior with hints of green flora throughout. It was my dream home… just in cafe form. Their coffee was tasty and well-made by the inviting and cordial staff. I ordered a double cappuccino and ended up having to drink it fairly quickly as the place became saturated with smokers. Laboratorija is located in New Belgrade (Novi Beograd) in the newer development area called West 65. 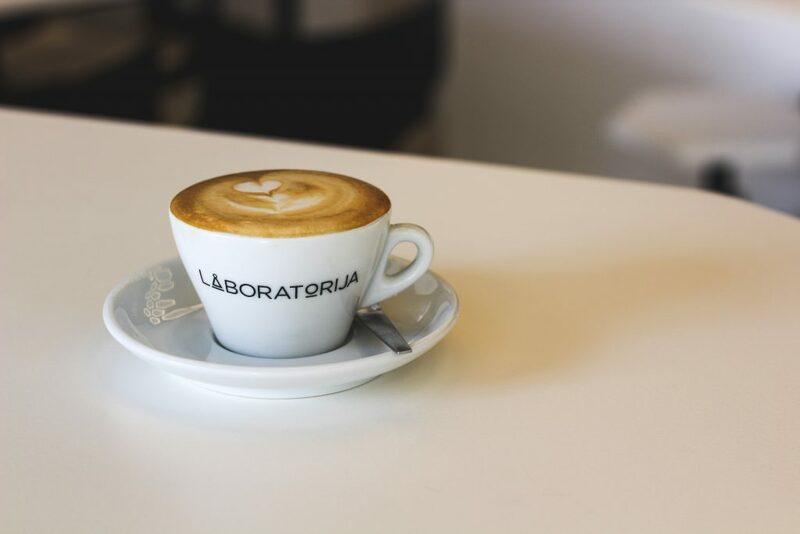 There are a handful of reasons to venture to Novi Beograd, but make sure Laboratorija is one of them. You can find Laboratorija in Novi Beograd at Omladinskih Brigada 86j. To find out more information, including their opening hours, check out their Facebook page. There were quite a few places I didn’t have time to check out despite having them on my list. 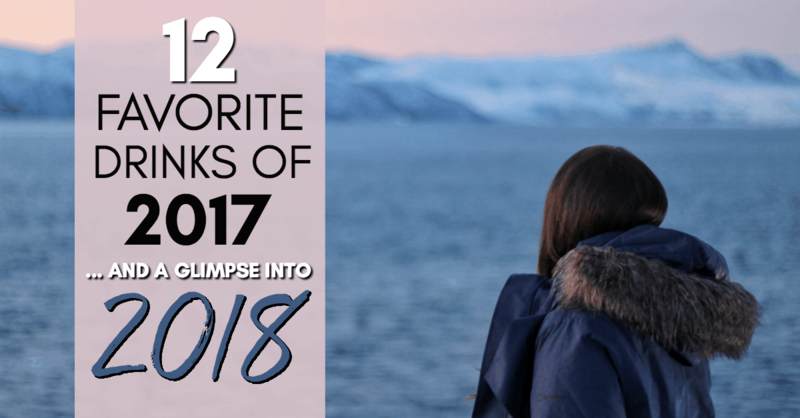 I’d love to include them on here for others to stop in and let me know how they are (and hopefully some of these will move to the list above on future trips)! Update: Don’t go here for coffee. I went back and finally got to check it out alongside some of the delicious beans they brew with by D59B… and it sucked. Not the beans fault at all… but the baristas didn’t care, burned the milk, and really didn’t seem to give a crap when I said it was awful. BUT… do go here. The concept and shop is amazing and the beer is great, as is the juice and breakfast bites! It would be remiss of me to say I never stopped by this place. I did stop by at around 10am and I ordered a beer. No shame (okay, just a little bit). I went back the following day to test out their coffee and they were closed (it was a Sunday). 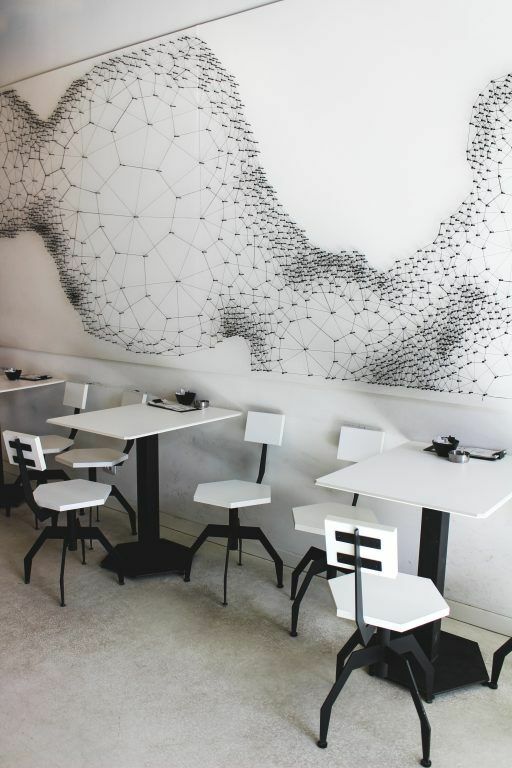 This concept store and cafe is brilliant. I could have stayed inside of Supermarket for hours. Next time I may just do that. You can find Supermarket Concept Store at Uzun Mirkova 8. To find out more information, including their opening hours, check out their Facebook page or online shop. I heard that this place was wonderful. Due to its location, I never had time to make it there. I will ensure that this place is visited next time I am in Belgrade, however. Java can be found at Andre Nikolica 7. To find out more information about Java, you can check out their Facebook page. I actually had trouble locating Skupstina the first time I tried looking for it. Kind of strange as the map is pretty exact with its location; it was a major fail on my behalf. When I finally found Skupstina, it was night and I went in for a beer. As its a place that caters to coffee drinkers and wine lovers, I couldn’t find any Serbian beer on the menu and left. Next time I head back here, it will be to try out one of their coffees. You can find Skupstina at Vlajkoviceva 11. To find out more, check out their Facebook page. I was pretty gutted to run out of time in Novi Beograd the one day I had free and didn’t have time to stop by this place. I will be sure to pay them a visit next time I am on that side of the river. Coffee Time is located at Jurija Gagarina 151b in Novi Beograd. To find out more information, check out their Facebook page. 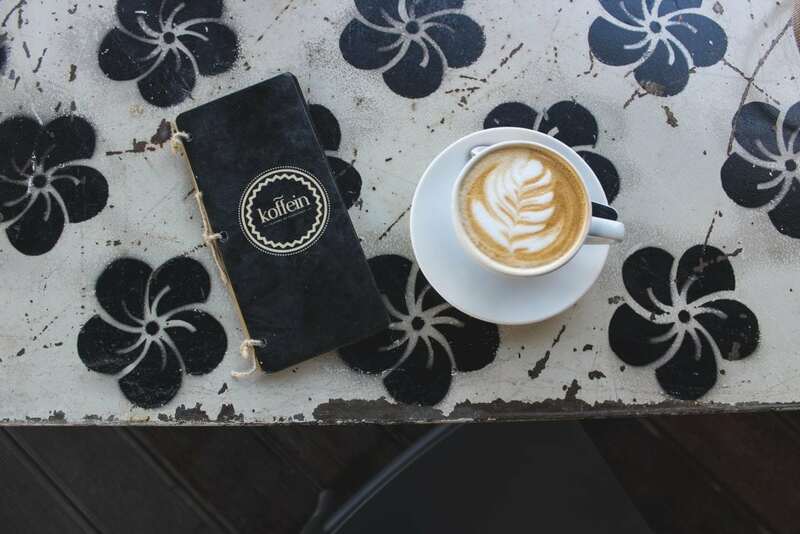 I don’t want to include places on here where I have lousy experiences with coffee, but Koffein seems to come pretty recommended by locals that I figured I would add it on the list despite my unfavorable experience with their coffee. I would be willing to give it another shot next time I am in the city, on the other hand. Hopefully, it will deliver different results! 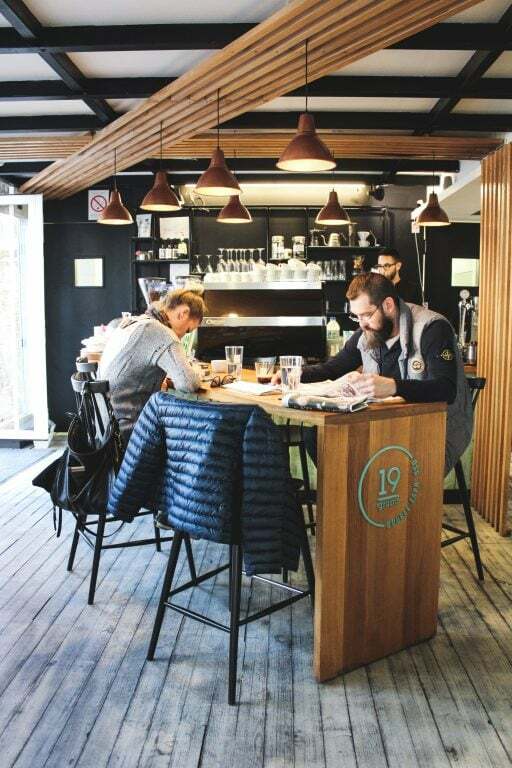 You can find Koffein at Cara Lazara 13 or Uskočka 8. To find out more information, check out their Facebook page. 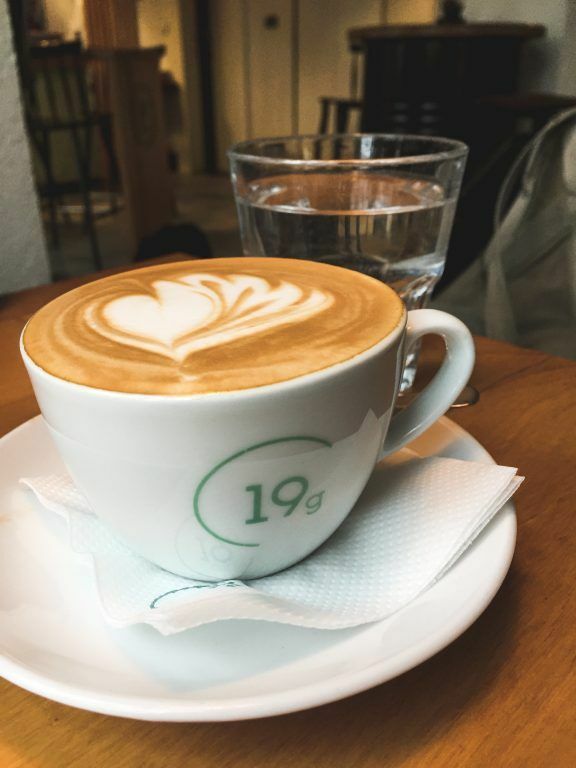 If you have any other recommendations for coffee in Belgrade, please leave them in the comments so readers (and I!) can check them out when in the city. Thanks! I need to return to Belgrade so badly! I’ve been there couple of times but always in a rush, heading somewhere else and I must say I don’t know the city at all. I am growing so obsessed by the place! I can’t wait to go back! These shops all have such great branding and atmospheres. Love them! I would have camped out too. They were really all aesthetically cool! I was very impressed. I love Beograd and my coffee.I spend a lot of time in kafice especially these for no-smokers. I often find “the process of brewing and serving coffee” a bit neglected on Balkans. 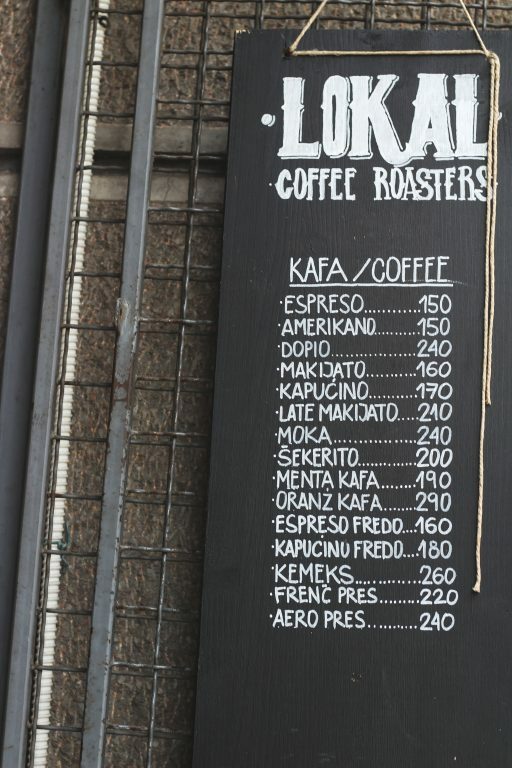 There are plenty of places offering good quality beans making from short espresso to long milky coffees (produzena kafa sa mlekom) but nobody even bothers to actually check temperature of a milk to be served with brewed coffee. I often get a coffee with warm milk (disaster!!) even if precisely asked for super hot. It is frothed but warm! And serving warm (should be hot of course!) coffee with plastic straw (when it comes to bigger glass) is just committing crime on coffee. I dare you finding one person in Belgrade actually using a milk thermometer in cafe. That is such a bummer you’ve had a bad coffee experience in Belgrade :( I had a bad one (for reasons you mentioned above) at Koffein, but everywhere else was pretty on point! 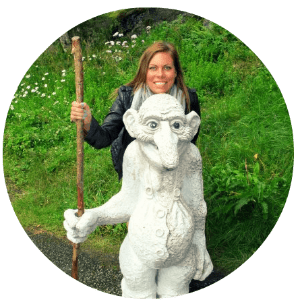 I also went back to a few of the places a few weeks after writing this post and the stuff was still good. Although Supermarket was terrible. I need to remove them from the ‘Places I want to try’ list! I actually have been here- but I drank a couple of beers from Kabinet! I didn’t know they were a good coffee stop! 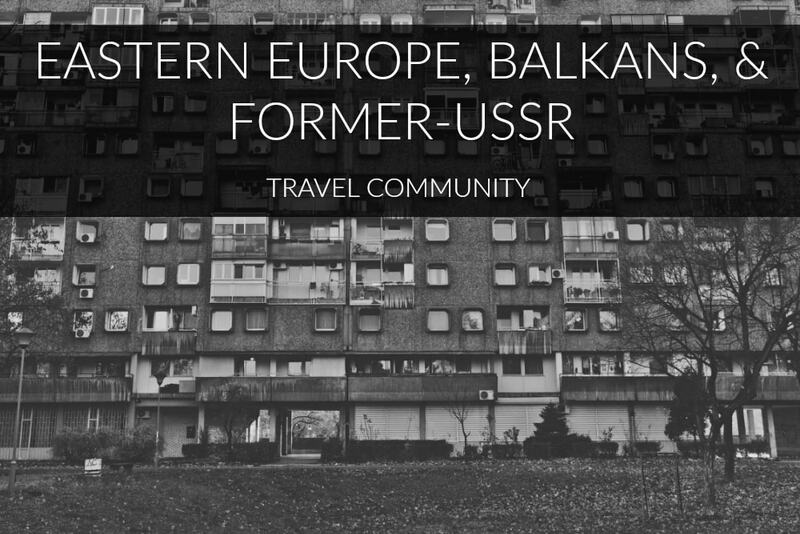 DEFINITELY adding to my list for my next Belgrade trip! Thanks for the tip and comment!